Former Cowboy DeMarco Murray's Fondest NFL Memory Is Beating The Team He Currently Plays For. Even the most casual Arlington Cowboys fan knows that it was a tough break when the team lost DeMarco Murray this past offseason to the Philadelphia Eagles. The running back had over 2,200 all-purpose yards with 13 touchdowns last season. Hell, he broke Jim Brown's record for consecutive games (8) of rushing at least 100 yards. Oh, and he broke Emmit Smith's franchise record for the most rushing yards in a single season with a total of 1,845. Yes, the fact that such a productive player left the home team sure hurts. But it hurts even more that he'll now be playing with the effin' Eagles, of all teams. Dude will be missed. We'll forever cherish the memories of him putting numbers on the board and opening up the passing game for Tony Romo. On the plus side, it looks like Murray has some fond memories of his time as a Boy In Blue as well. 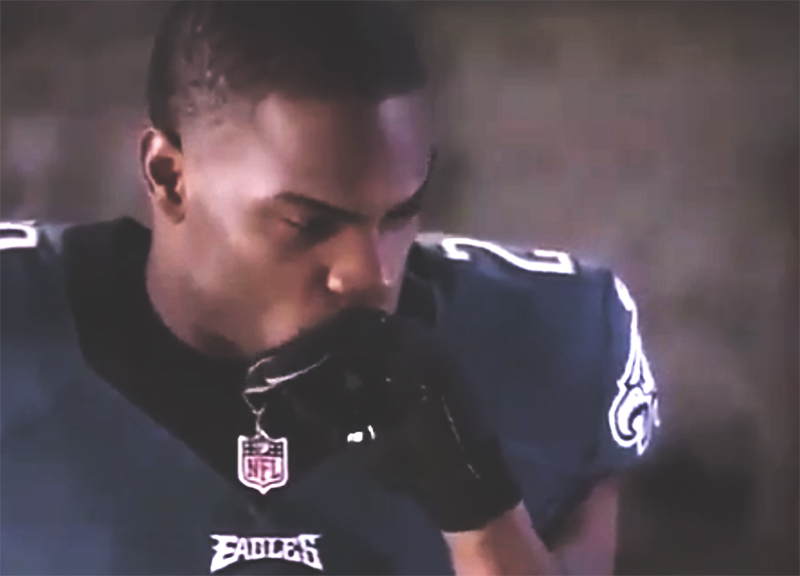 In a promo video for NBC's Sunday Night Football, a young reporter recently asked Murray what his favorite memory is when it comes to playing on Sunday night. His answer? That time last year when the Cowboys beat the Eagles to advance to the playoffs — a reveal at which our ace reporter throws some serious Jim Halpert shade. Anyway, it's safe to say that he probably won't feel the same way when the Cowboys knock the Eagles out of the post-season again this year, huh?